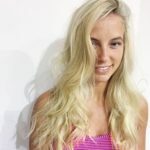 Singapore, The Lion City! 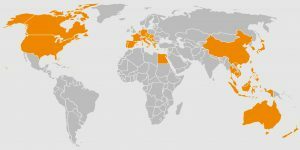 We lived here for two fabulous years, so we’re quite familiar with the ins and outs of this beautiful country and everything it has to offer. 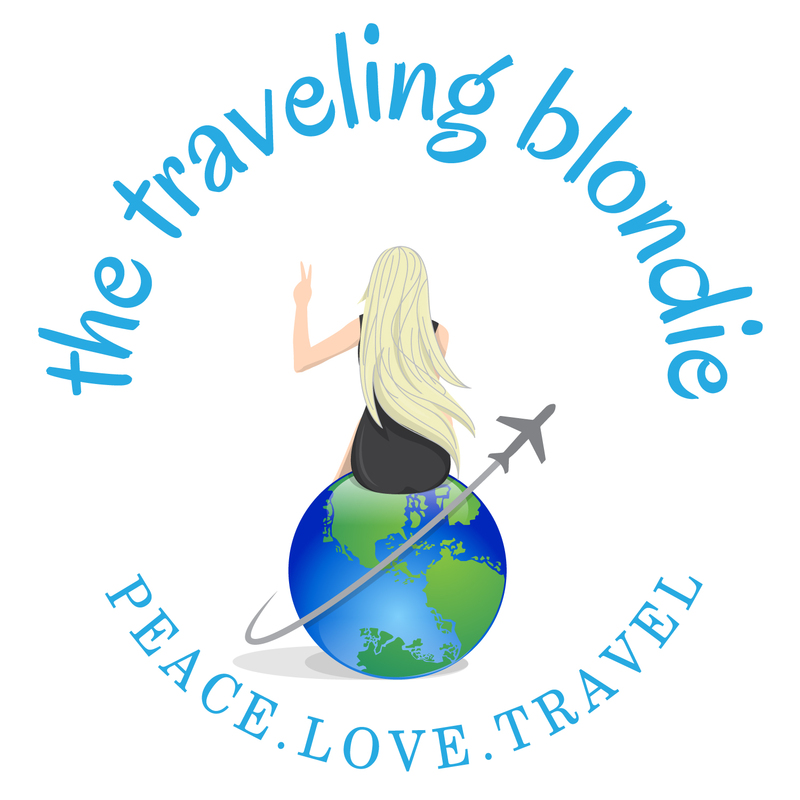 I’ve covered 10 things you MUST do when visiting this great city! 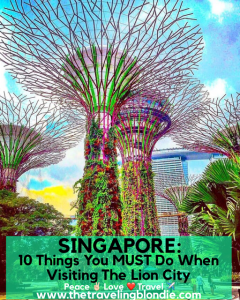 If you’re looking for more details about Singapore, check out my Blog Post! 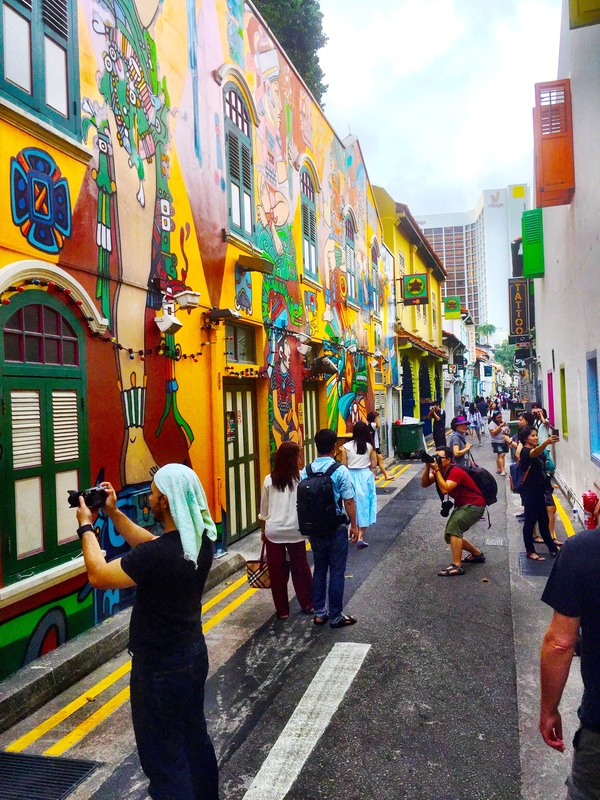 A little, colorful street that has boutique shopping, great restaurants and coffee shops, Haji Lane is the bomb-diggity. If you follow only one of my recommendations for food, let this be the one! 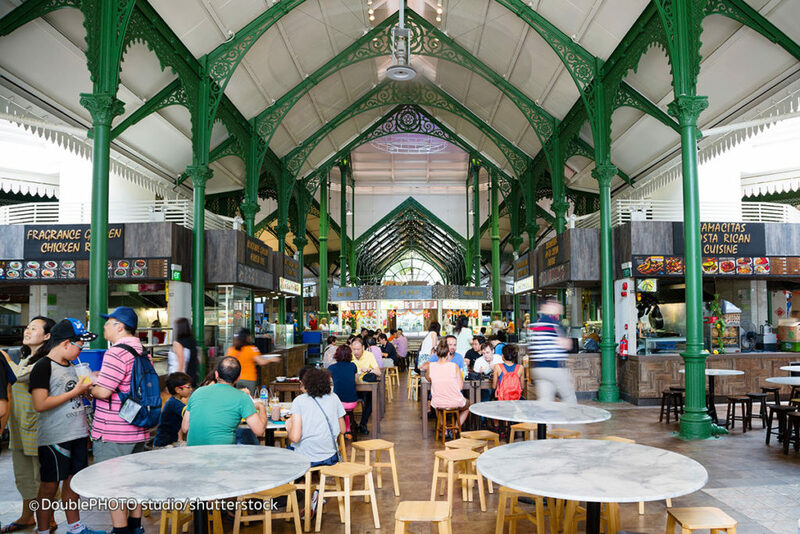 A Hawker Center is basically a giant outdoor food court full of delicious, local Singaporean food! Make SURE you order chicken satay, Hokkien Mee, BBQ Stingray, chicken wings, roti part, laksa, carrot cake and char kway teow! No visit to Singapore is complete without spending time roaming around the streets of Chinatown. Here, one can find the most abundant and best priced souvenirs in the city, while enjoying some freshly cooked local cuisine and treats. Be sure to try bak kwa, a flat, juicy, salty-sweet beef-jerky that is sure to keep one coming back for seconds. Make a stop at Singapore’s oldest shrine, the Hindu Sri Mariamman Temple. The Chinese Buddha Tooth Relic Temple is also worth visiting as well as the blue Baba House, which is a traditional Peranakan home dating back to the 1890’s. 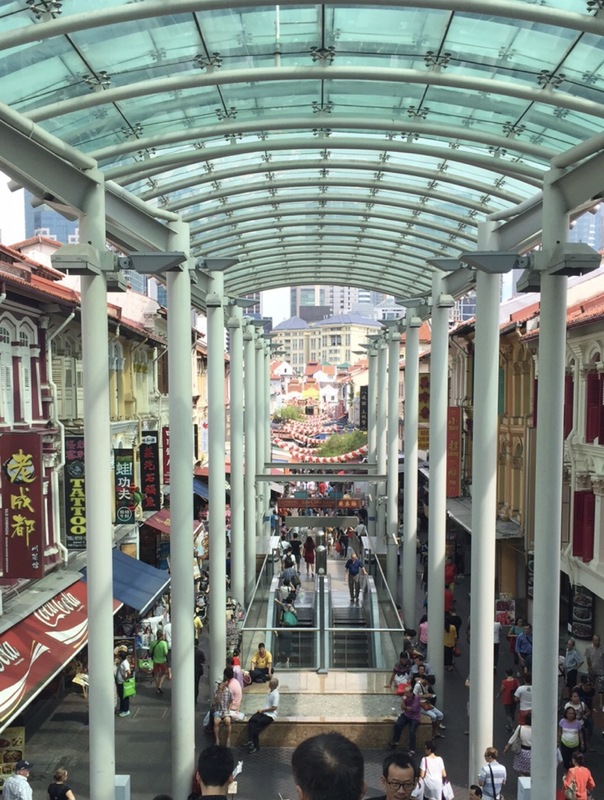 Orchard Road Is The Rodeo Drive Of Singapore: Just Go! 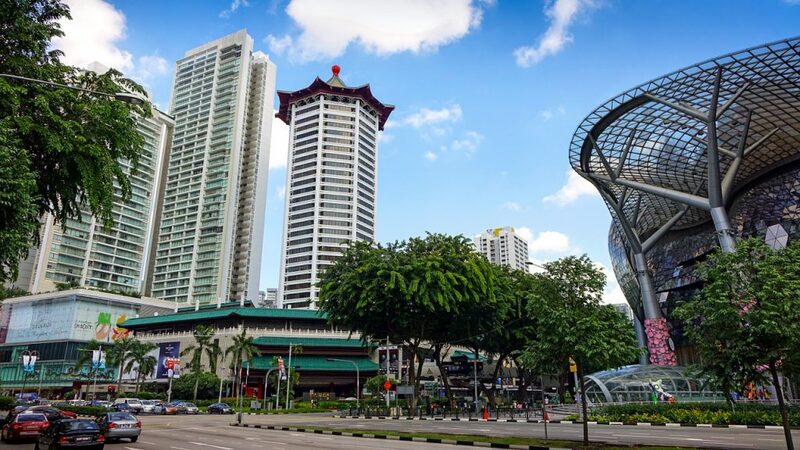 The Rodeo Drive of Singapore, Orchard Road offers up posh, 5-star shopping for miles! Be sure to get tax free receipts and redeem them at the airport prior to your departure. TIP: Tell the taxi driver to take you to Ion Orchard, it’s a great starting point. 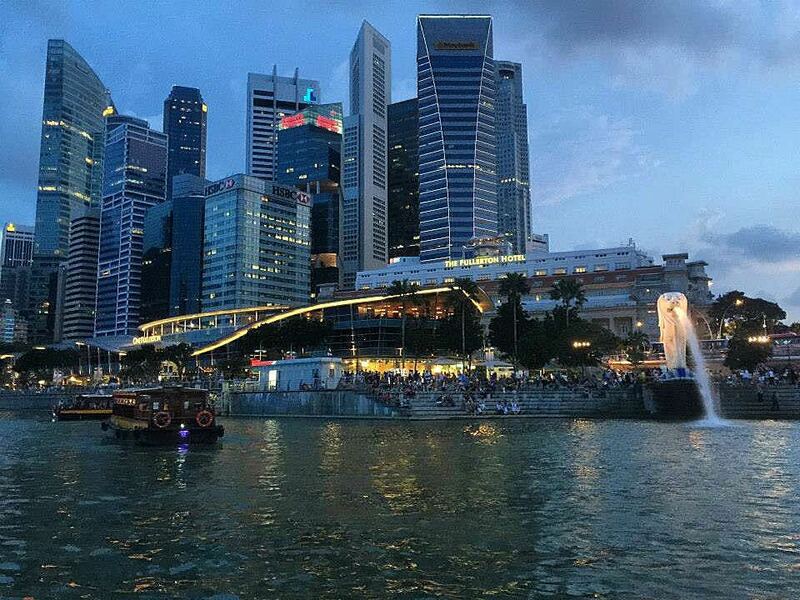 Clark Quay is THE nightlife spot of Singapore! 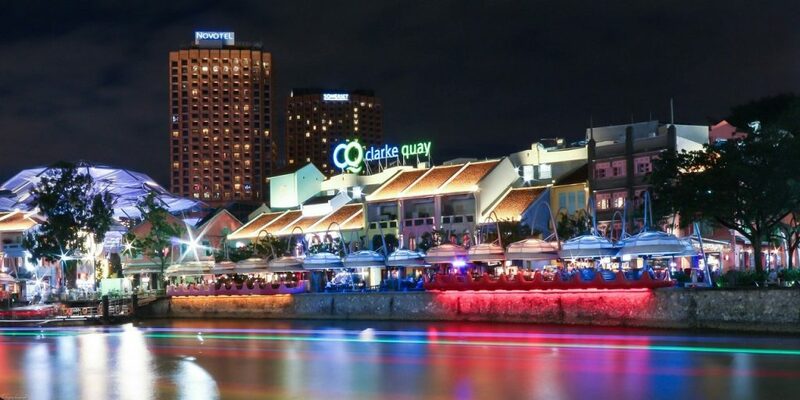 Clarke Quay is THE nightlife scene of Singapore and is comprised of a riverside area packed full of various bars, clubs and restaurants, appealing to all ages. 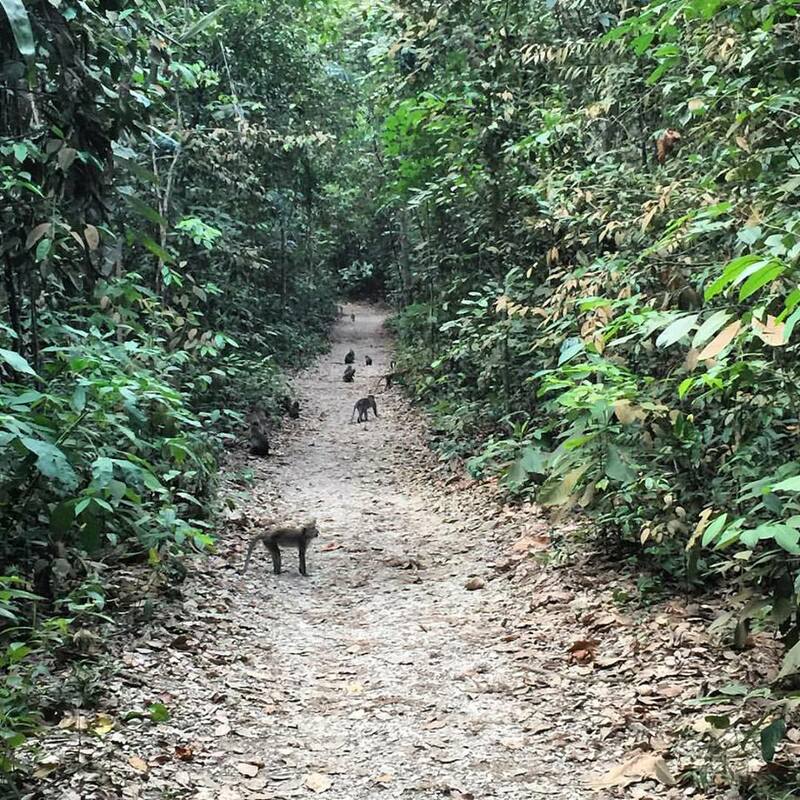 MacRitchie Reservoir is Singapore’s oldest reservoir, dating back to 1868. Lace up the trainers and hike the 10 km around its entirety, crossing its (250m long, 25m high) TreeTop Walk suspension bridge. During the hike, one is sure to encounter playful monkeys, colorful birds and even a komodo dragon or two (be sure to keep your distance, of course). 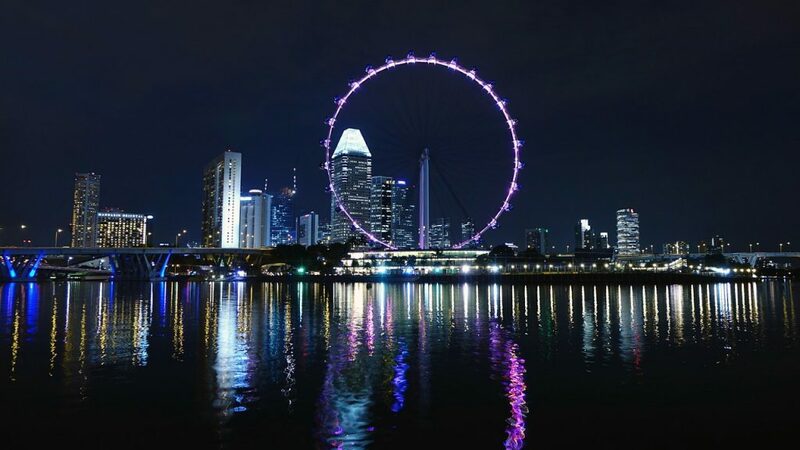 The Singapore Flyer is the iconic Ferris wheel of Singapore! The Singapore Flyer is the country’s iconic Ferris wheel and is Asia’s largest Giant Observation Wheel at 165 meters in height. It was the world’s tallest Ferris wheel until the High Roller was built in Las Vegas, USA. One single rotation on the Flyer lasts 37 minutes. Tip: Ride the Flyer at sunset to see the city by day and night! The famous ‘Merlion’ is the mascot of Singapore and can be found at Merlion Park, just opposite Marina Bay Sands Hotel, at One Fullerton. Be sure to take the 1km stroll around the entirety of Marina Bay, viewing the flowerlike ArtScience Museum and crossing the Helix Bridge. 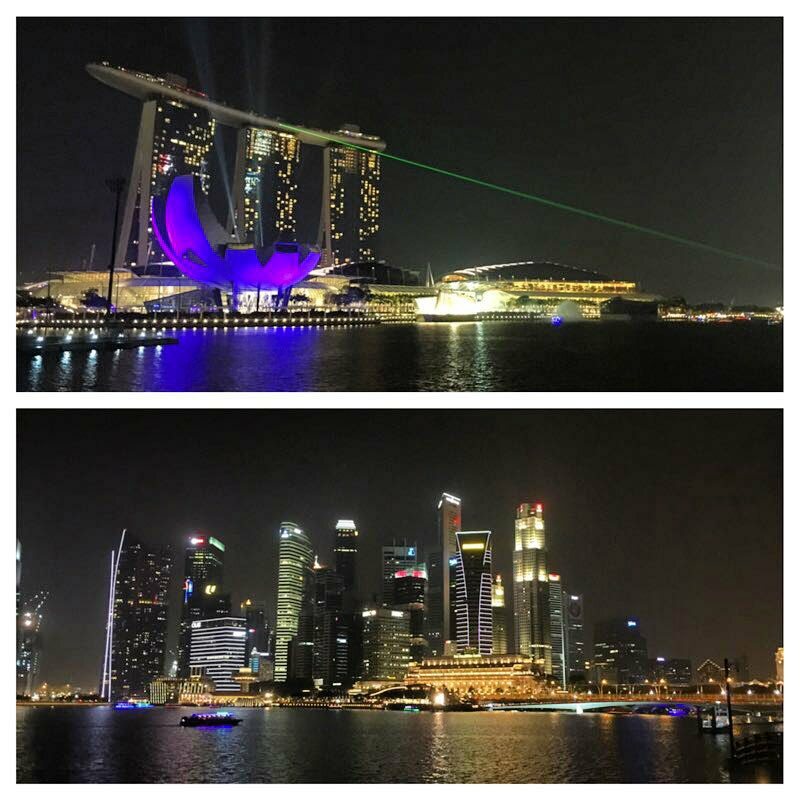 If you happen to be near the Merlion at night, be sure to see the colorful light show shot off of Marina Bay Sands Hotel at 8pm and 9:30pm on weekdays, and additionally at 11pm on weekends. One cannot Google ‘Singapore’ without an image of the iconic Marina Bay Sands Hotel Pool displayed on the screen, which has been the face of the Lion City since 2010. Costing more than $8 billion to construct, MBS includes so much more than its 2,500 hotel rooms. Inside, one will find a luxurious shopping mall, two theatres, a museum, and multiple celebrity chef restaurants including CUT by Wolfgang Puck, Waku Ghin by Tetsuya Wakuda, and Osteria Mozza by Mario Batali. Don’t forget that it also houses the world’s largest atrium casino. 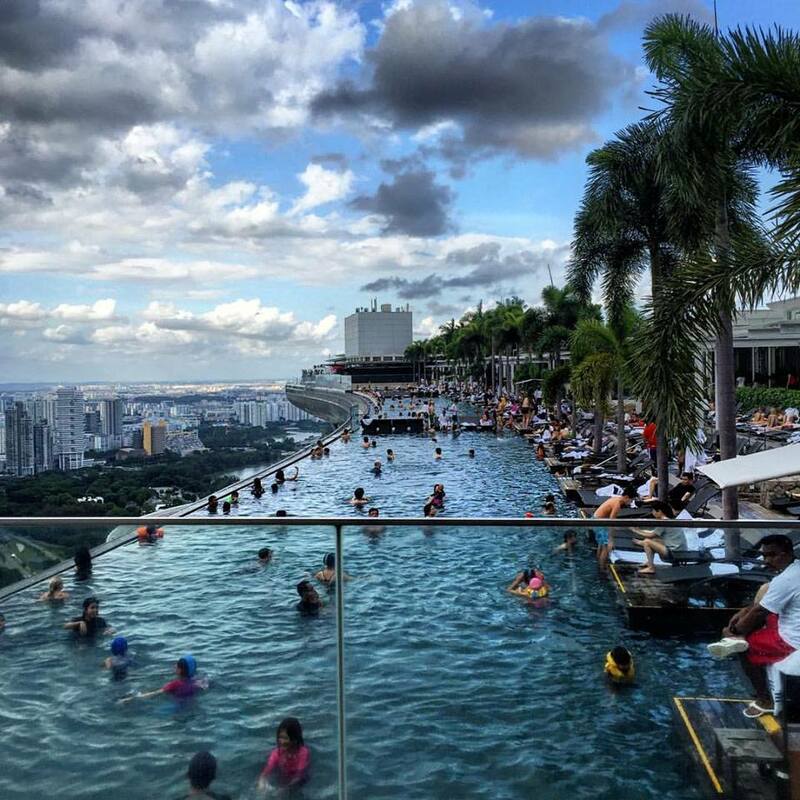 The most memorable of all sites inside MBS is by far its three-acre SkyPark, which includes the world’s largest rooftop infinity pool. It’s essential to spend a day at the pool sipping cocktails while overlooking the skyline, especially as the sun goes down. My FAVORITE Place In All Of Singapore! I Used To Run Here Daily. There is nothing more awe-inspiring and jaw dropping than the Supertree Grove at Gardens By The Bay, which is located just behind Marina Bay Sands Hotel. 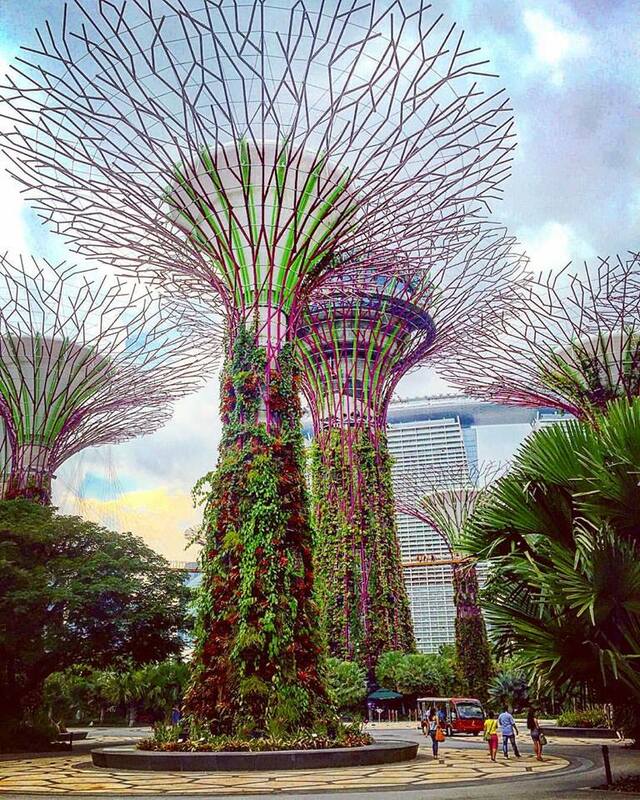 Twelve solar-power generating Supertrees, ranging in height from 25-50 meters, are one of Singapore’s most visited attractions. 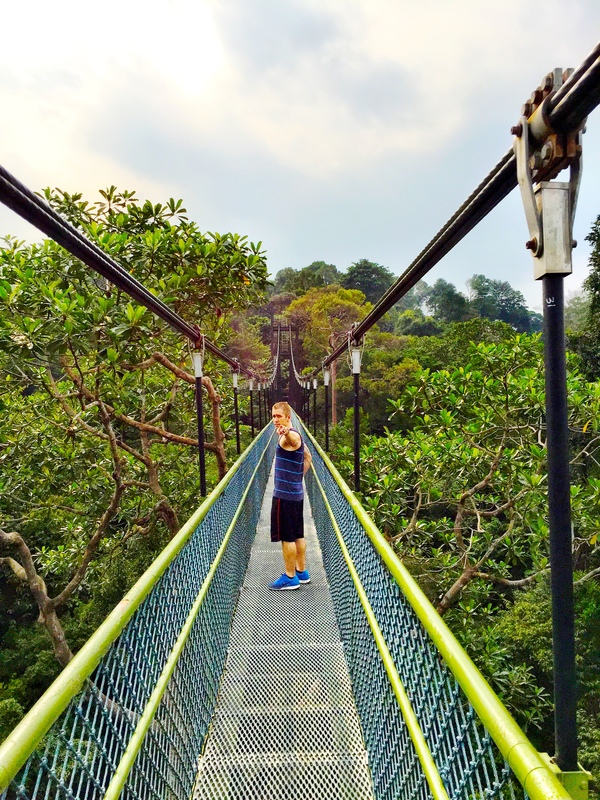 Be sure to pay the extra cash to cross the 128-meter OCBC Skyway Bridge, which connects several of the 50-meter tall trees. Afterward, don’t miss out on a delicious meal filled with local Singaporean cuisine at Satay By The Bay.